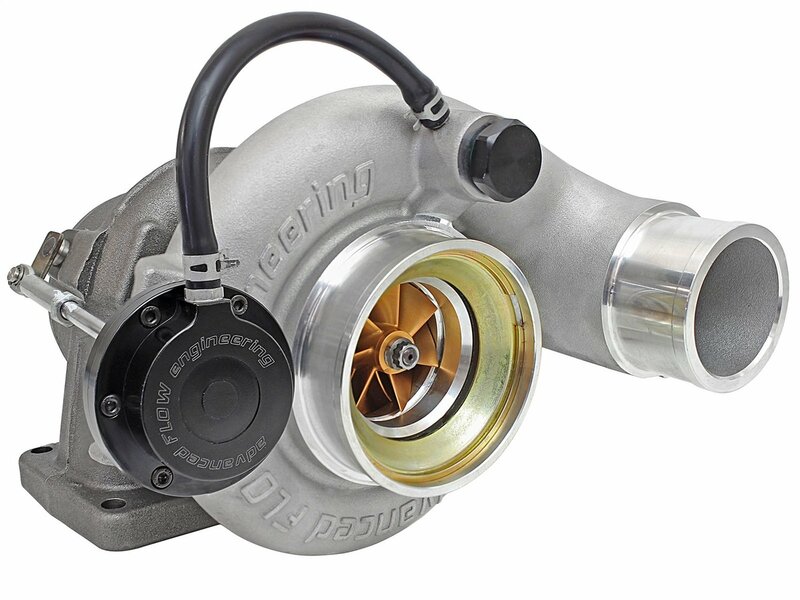 Best Turbo for 5.9 Cummins Reviews: Top-5 in April 2019! Turbochargers are sometimes confused for being complex, but they are in fact a simple mechanical fan that provides air compression. Turbocharger units connect to the exhaust system, capturing and diverting the fast flow rate of the expended exhaust as it leaves the engine to drive a turbine air compressor that pushes additional air into the cylinders. The 5.9L Cummins engine started out in 1989, but it was not until 1998 when the first 24 Valve engine with common rail injection including the Holset turbo that provided a magnificent addition of 100HP over the previous models. This upgraded engine provided unrivaled power and performance for nearly a decade until it was replaced by the 6.7L Cummins engine. The Aurora 3000 Turbo System is an OEM and towing performance replacement for 2003+ Dodge 5.9L Cummins. The Aurora 3000 is a quick spooling turbocharger, this model comes with a 58mm inducer on the turbo, and provides an exceptional stock performance replacement for your old turbochargers. This model weighs 36 Lbs. is made of cast aluminum and forged steel blades. This is a classic 59L replacement part that works like stock but gives added benefits for towing. This amazing turbo comes with a 60mm trim compressor inducer and an 89.7mm compressor exducer with a 65 mm turbine inducer and a 58mm turbine exducer all housed in a 12 CM2 housing. The compressor wheel is made from gold anodized 7/14 bladed billet aluminum, and the comes with a 60mm inducer and 89.7mm exducer. 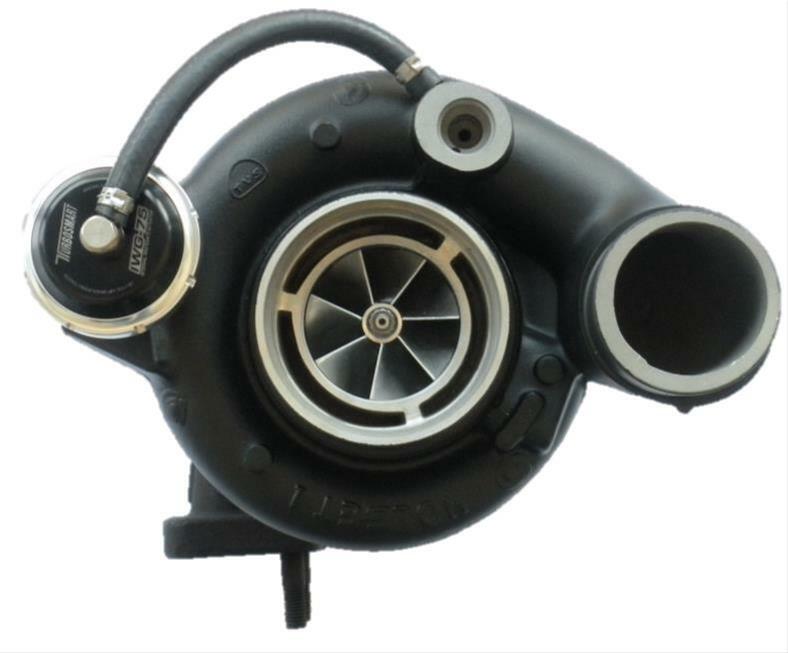 This design provides improved turbo spool-up, high wheel speeds, and boost pressures. You also get a wastegate actuator made from CNC-machined, black anodized billet adjustable aluminum. This is a direct replacement part that provides stock performance as well as increasing your power by an addental 51 HP and +124 lbs. x ft. Torque max gains, all dyno proved. This is one exceptional model, it comes at a reasonable price but delivers beyond expectations, well worth the investment and will extend your 5.9L Cummins life by a few more years easily. 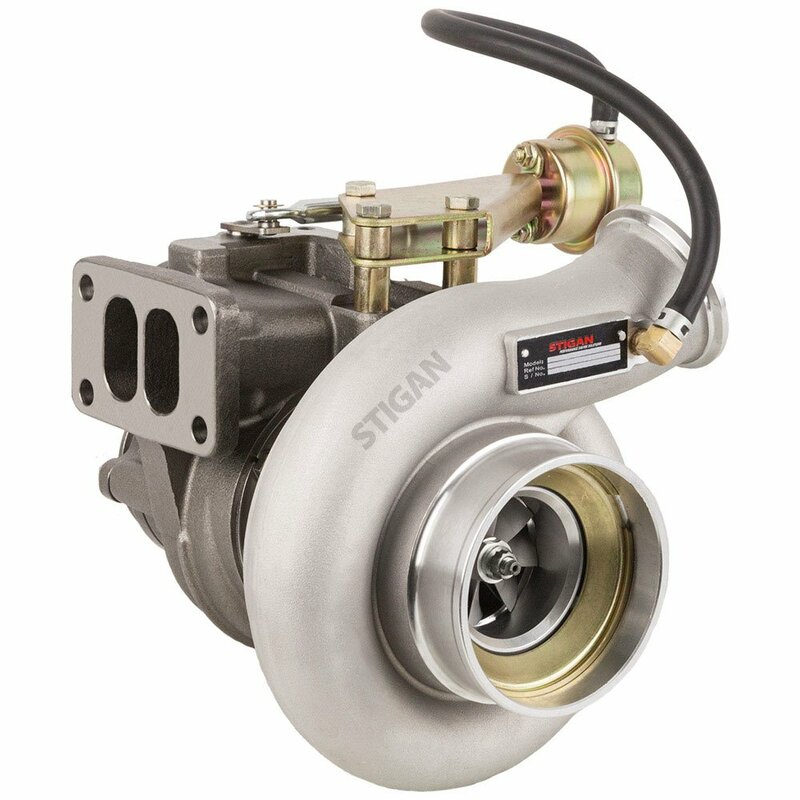 This original and new Stigan turbocharger unit comes in billet aluminum alloy housing using all aluminum alloy and steel components for solid and stable stock performance. A very reliable and budget-friendly product, and to be blunt, the most inexpensive replacement part for the value you can find on the market today. 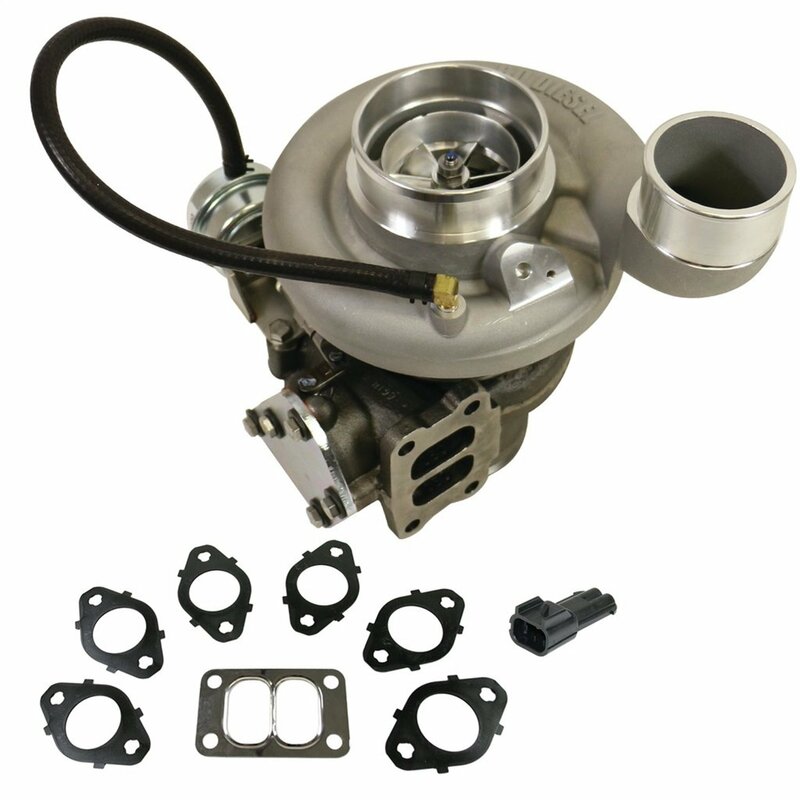 The Fleece Turbocharger FPE-351-0407 is a drop-in replacement turbocharger for 5.9 Cummins. This model comes with the standard Fleece 63mm compressor wheel and mounting gasket with the wastegate. This is a drop-in replacement part. This is a high-quality brand name so you will pay much more than expected. However, you will receive a perfect performance part that delivers to stock performance and lives longer than most of its competitors. 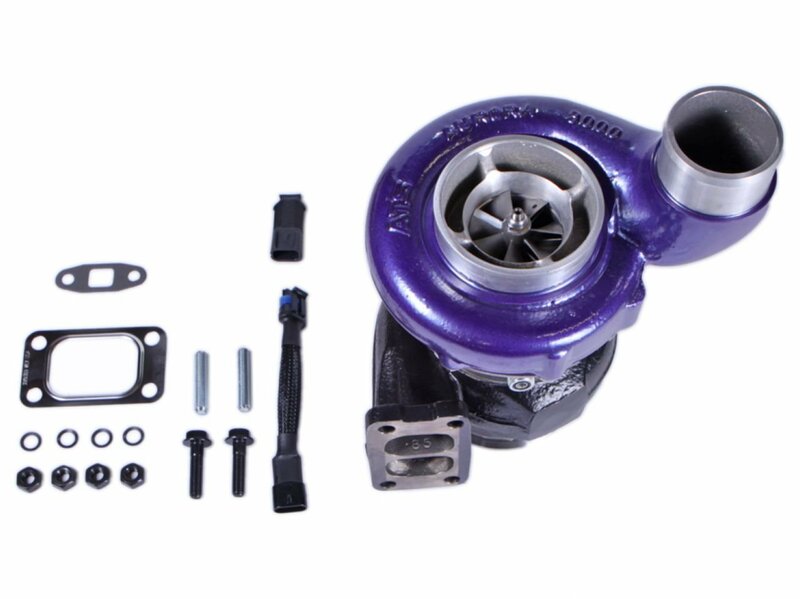 The BD Single Turbo kit model SX-E S361 is an OEM turbo designed to provide much more efficient performance. This stock style component comes with a 360 thrust bearing and enhanced compressor wheel and housing. The smaller inducer with the larger compressor blade surface delivers quicker spooling with more flow than other wheels of a similar size. A great little unit appropriately priced for its tuning capabilities and ready to install (drop-in). As with all electromechanical products, the 5.9L suffered from its own set of issues, and with the turbocharger these problems were lead by the higher mileage vehicles that would eventually lead to a lack of boost pressure in the intake, leaving the engine down on power. If left unchecked the issue would deteriorate and eventually lead to catastrophic engine failure. The main fault in these early Holst turbochargers were the oil seals in the center hub rotating assembly. These seals were prone to wear over longer distance use, and the wear would lead to lubricating oil seeping into the intake as well as the exhaust. The issues with an engine oil leak are some of the worst you can ever face; they include clogging your intercooler, increasing your RPM that will go beyond the throttle input, as well as damage the oxygen sensors and leave a bluish smoke trail from the exhaust pipes. Now, seeing smoky pipes is one thing, but you can’t see the build-up of gunge inside the intake that leads to a totally worn turbo and damaged engine. The second issue that was observed with the OEM turbochargers was when the center hub rotating assembly bearing wore down. This is generally caused by high mileage and age but is also caused by the issue described above, as well as a lack of lubrication as well as a clogged oil feed line. Just take heed that a turbocharger fan is rotating at around 200,000RPM (Yup, we wish our wheels would do that too, but they don’t). As such, when the bearing wears down, the sides of the fan touch the housing, this leads to additional wear, and in the most severe cases, fan breakage that sends shards of metal flying like bullets through your engine, and other parts. Needless to state, this is a life-threatening situation at the worst, and an engine destroying issue at the best outcome. You will be given fair warning from your turbocharger since it will start to fail as well as let out a loud whistle or whine while accelerating. In this case, stop your vehicle immediately. You can check this out by visually inspecting the turbo for excessive bearing play. You do this by removing the intake tube that feeds the turbo and then moving the compressor fan with your fingers. If the fan moves ever so slightly to the sides as well as rotationally, it means its bearing is worn, and you cannot drive until you replace the turbo. If you have a knack for car mechanic work and like to replace your own aftermarket components, then this one will be a two-hour job, and easy if you follow the instructions properly. I have included a video which is one of the better ones to find on the internet. Always make sure you work in a clean environment. Always make sure every tool you need is available and at hands reach. Always secure your vehicle with tire blocks for extra safety. Never work under a vehicle that is not properly raised and secured. Always uncouple your battery or batteries, never work with an electrified car. Its best to have a pail or can for water and oil, just in case, you never know when you need it.